With every holiday season comes the opportunity to pack a shoebox for Operation Christmas Child. This year, over 5,000 drop-off locations are available to those all over the country. Operation Christmas Child boxes are filled for ages from two all the way through teenage years. 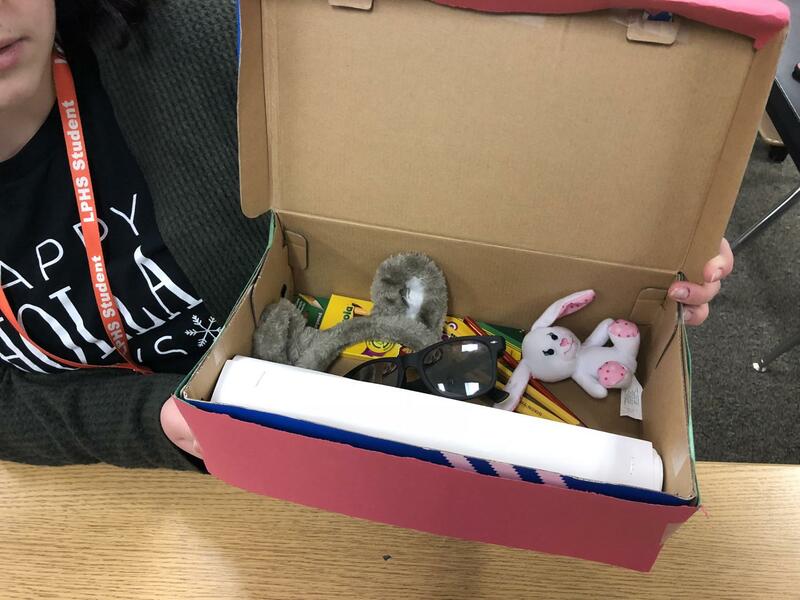 They are packed with a variety of items, such as pencils, paper, toys, soap, toothbrushes, and other various toiletries. They are then distributed to people in need. “Operation Christmas Child boxes go around the world. Some of them even stay in the underprivileged areas of the United States,” Mrs. White, LPHS teacher, said. Anybody who is interested is able to put together boxes. They can be packed in specific Operation Christmas Child boxes, or basic shoe boxes can be used. Operation Christmas Child is a great way for anybody to get involved. People of all ages can do their part to fill and distribute boxes for those in need. “Putting together Operation Christmas Child boxes really puts things in perspective. It makes you grateful for what you have and makes you thankful that you can help others who are not as fortunate as you are,” White said. The holiday season is a time of giving, and all are encouraged to do what they can to help others. Most churches around the country are participating in completing Operation Christmas Child boxes, though anybody interested can visit https://www.samaritanspurse.org/what-we-do/operation-christmas-child/ for information on how they can help. Donations are being accepted until the week of Thanksgiving.